Greetings all: the third issue of the Liberal Christian, the online magazine I publish, will be released on June 22. This is a week later than the scheduled publication date, June 15. I hope the improved quality justifies the delay and I regret the inconvenience. Themes related to governance (including coverage of the past UK Unitarian and Free Christian AGM and forthcoming UUA GA) and seasonal liturgical items — including preaching and planning helps as far out as September — are especially welcome. I also welcome photographs that illustrate Unitarian, Universalist and kindred Christian life. Ron Robinson is the executive director of the Unitarian Universalist Christian Fellowship; he also writes an independent blog (Planting God Communities). While he’s careful not to speak for the UUCF, I can trust he speaks from knowledge of the independent affiliates controversy. Check out this post, and make it all the way to the end. I’m not going to speak for the UUCF — I hold no position in it anyway — and I’m not even going to speak about it until I speak to leadership and some stakeholders, but I think all Unitarian Universalist organizations — former and continuing independent affiliates — have to recognize that if they don’t provide their own services currently (formerly?) provided by the UUA, they’ll always be at risk of having these services withdrawn. That’s too much crisis and uncertainty for most organizations to suffer. I believe that future General Assemblies will be a draw and that independent organizations will “do their thing” near it. There are 368 days until GA 2008. Theological BarCamp: has its time come? Organizing it and running it seem pretty straightforward to me â€” just an organizational overlay over standard event logistics. While my post generated absolutely no interest among the religious liberals who read my blog, I still think it would be a good event. Indeed, a decade ago I helped plan one or two UU young adult conferences (this was back when I was a young adult) which had some resemblance to this idea. Itâ€™s one of those things where if people actually tried it, they would realize that itâ€™s so much better than the standard, dreary General Assemblies and district conferences. I even commented at the time but it slipped my mind.Â He’s right, you know, and very persuasive at his site. (Read this earlier post, too.) So, what about it gang?Â Please comment. Few surprises that these were the most read articles in May for Boy in the Bands. 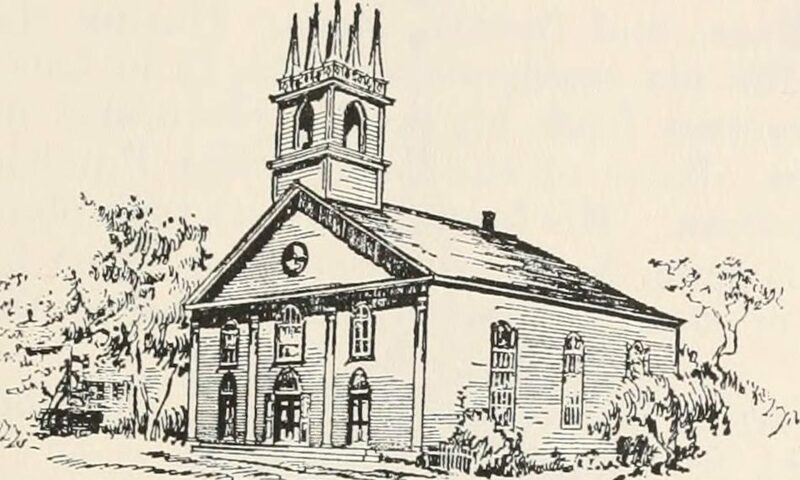 “Where is Meadville Lombard going?” Like other–perhaps all–Unitarian Universalist ministers, I got an email from the Rev. Lee Barker, the president of Meadville Lombard Theological School . . . .
“Buying US-made clothing, so far“. Ms. Theologian is talking about not buying clothes from China. I’ve written at length about my hunt for US-made, union-made, non-sweatshop-made clothing. “Banning someone on WordPress” Though I have had pointed disagreements with several persons on this blog, I have only banned one person from commenting and participating . . . .
“Has the Episcopal Church jumped the shark?” Gutter newspaper and television has made some hay about Jim McGreevey . . . . The top three outstripped the others and all other posts. I’ve added the LiveJournal page feed for (the Rev.) Matthew Davis Fox on my feed reader at home. The Rev. Mr. Fox is a graduate of the Pacific School of Religion and has standing in the United Church of Christ. He works for the Religious Coalition for Reproductive Choice. Jamie Goodwin (Trivium) looks forward to the Unitarian Universalist Christian Fellowship Revival conference, held this November in Cleveland. That’s much closer for him than General Assembly, and closer for many of us. Now, how to get there? I suppose I could fly: I did for General Assembly a few years ago, but short-haul flying is something many of us are trying to avoid because of the higher proportional energy costs and environmental damage than surface travel. The Megabus bus line might be a desirable option for some who live in Midwest. Amtrak — which I prefer! — serves Cleveland by the Capitol Limited (Chicago to Washington D.C.) and the Lake Shore Limited (Chicago to Boston or New York, via Rochester). Sometimes that run is deeply discounted. But it is 11 hours or so each way, a bit more than I would normally be happy about. Connecting service for much of the U.S. comes out of one of those cities, but that’s an even harder sell. This may be my Southern and East Coast associations showing, in my twenty-plus years of being a Unitarian Universalist, Starr King School for the Ministry has always been “that school.” You know, the funny one. The one with a penchant for curly, spirally graphics. The one that’s so serious about language — remember the poetry-filled course catalogs from the 80s? — but too often lacks a sense of self-awareness or irony. The one that pushes buttons nobody else does. What can I do with my General Assembly expenses? I was thinking about how much GA costs. Whether one self-pays, gets assistance or volunteers, there are opportunity costs for this kind of meeting.